Volume 3 of The Hacker Digest takes you back to the last year of the original format of 2600 Magazine. It was a different world back in 1986, as the magazine entered its third year. But it would be the final year of the monthly newsletter format, as the pages just weren't sufficient to cover the explosion in technology news and adventure of the day. The year started off in triumph, as authorities were forced to return the 2600 BBS after it had been seized the year before, causing more controversy than anyone expected, not to mention the involvement of the ACLU in one of its first ever computer cases. There was also much talk in these pages of the NSA and what they were actually up to back then. Concern over expanding surveillance was evident in these pages, well before it became a worry to the mainstream. 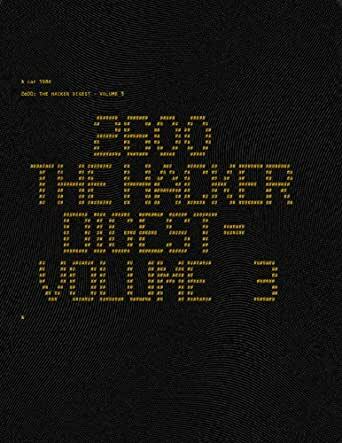 Every imaginable operating system and telephone network was open to hacker scrutiny in the pages of 2600. Information of all sorts was printed and is reproduced here. There's even an article that predicts the future of the Internet. The content has been reformatted into an actual book, complete with explanations of the covers and various other features. Every character has been proofread (typos have been preserved) and many of the articles have stood the test of time and are quite applicable today. Most every telephone number printed, however, has likely changed.